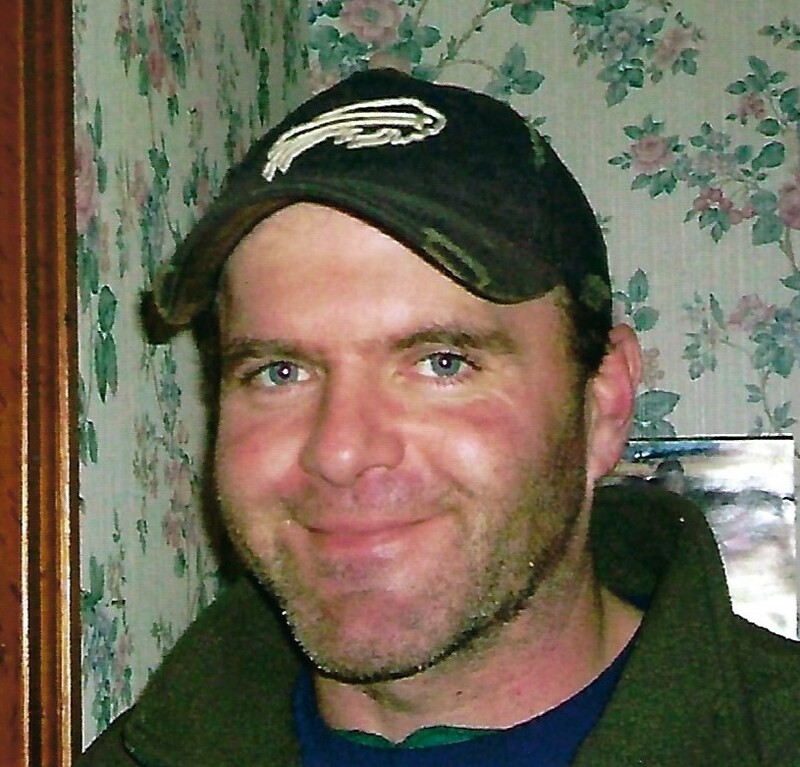 MAYVILLE –David Edmund Auge, 44, of Mayville, died unexpectedly on Feb. 6, 2019, at Westfield Memorial Hospital. He was born Sept. 4, 1974, in Westfield, the son of Donna Mae Snyder Auge and the late Edmund E. Auge. Dave had been a boat mechanic at Snug Harbor Marina and previously a construction worker for Rick Peterson. He had been a member of the Chautauqua Fire Department for 15 years and was a member at the Mayville American Legion William L. Travis Post 493. David enjoyed hunting, fishing, golfing and racing at Stateline Speedway in the Spectator and Cadet class, as well as demolition derby. He had built his own car from scratch and was named Rookie of The Year his first year racing. David was known as a good Samaritan, helping all of his neighbors and strangers he happened upon. His greatest joy was time spent with family. He is survived by his mother, Donna Mae Snyder Auge of Westfield, formerly of Mayville; two brothers: Neil Auge of Brocton, and Michael (Melissa) Auge of South Carolina;, three sisters: Arlene (Jim) Monaco of Virginia, Corine Beatman of Mayville, and Loretta (Stanley) Briggs of Stedman; and many nieces, nephews, cousins, aunts and uncles. He was preceded in death by his father, Edmund E. Auge; his paternal grandparents (Auge); and maternal grandparents (Snyder). The funeral will be held on Wednesday, Feb. 13, 2019, at 1 p.m., at the Freay Funeral Home in Mayville (139 S Erie St). The Rev. Daniel Prewitt will officiate. Burial will be in the Mayville Cemetery. The family will receive friends from 11 a.m. to 1 p.m. prior to the service at the funeral home. Memorials can be made to the Chautauqua Fire Department and Rescue Squad, P.O. Box F, Chautauqua, NY 14722.